Hear from students who studied abroad in Madrid. The Clark in Madrid Program offers approved engineering coursework in all 9 engineering majors allowing for Fall, Spring and Full-Year study abroad opportunities. Unique to this program, the Clark in Madrid Program provides students with the opportunity to select courses from both Universidad Carlos III and Universidad Pontifica Comillas. Studying in Madrid offers you a wide range of cultural, athletic and leisure activities. In addition to accessing classes at two prestigious universities, Madrid is a welcoming city that very easily allows you to turn your university stay into an unforgettable experience. It is one of the most dynamic cities in Europe, which helps attract students from all over the world. The capital has a rich historic, artistic and cultural heritage; it is home to some of the best art museums in the world. Additionally, the Madrid community includes historic municipalities such as Alcala de Henares, Aranjuez, and El Escorial, and it is in close proximity to the monumental cities of Segovia and Toledo. The Clark in Madrid program affords you the opportunity to take courses at two leading engineering schools in Madrid-- Universidad Carlos III and Universidad Pontifica Comillas. The UC3M campuses, located in Getafe and Leganes, are very well connected to the city centre by public transport. The Engineering campus is located in Leganes. Carlos III is ranked in the Top 50 under 50 years old by QS World University Rankings and is #1 in Spain for the number of students exchanged within Europe. With a particularly focus on internationalizing the campus experience, Carlos III offers more technical courses in English than any other engineering program in Spain. UC3M offers many engineering courses in English including fully taught program in English in Bioengineering and Aerospace Engineering. This program offers approved coursework in Aerospace Engineering, Bioengineering, Civil Engineering, Computer Engineering, Electrical Engineering, and Mechanical Engineering. Even sophomore Material Sciences coursework is approved at UC3M. 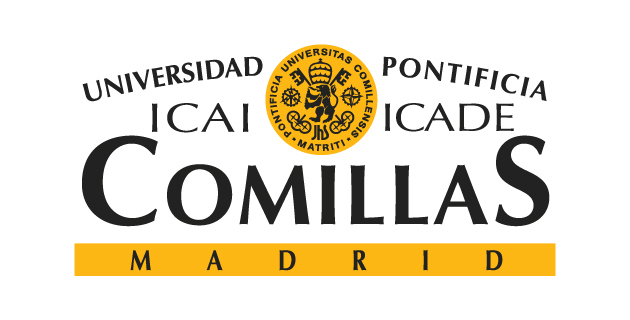 Universidad Pontifica Comillas is the leading private engineering school centrally located in Madrid offering coursework perfectly suited for spring semester sophomore students looking to study abroad. Universidad Pontifica Comillas also offers upper level approved engineering course in several Clark School disciplines. If attending in the Spring, this program allows students to extend their stay in Madrid during the summer months by engaging in research for credit, Spanish language courses, or additional engineering coursework. A key feature of Universidad Pontifica Comillas is their SAPIENS program-- offering foundational math, physics, and engineering courses such as PHYS270/271, MATH246, MATH461, ENES232, and ENMA300. For more information, please schedule an appointment with Harrison Gill in the Office of Global Engineering Leadership.